How much is that CEO in the window? The one with the waggly tail? Don Mattrick's unexpected departure from Microsoft set the internet afire a short while ago and we now know how much Mattrick was offered to jump ship. It must be pretty sweet to know that your prospective employer values you so much as to offer a sign on bonus of $5 million before you so much as walk in the door on Monday. But it gets better. Base salary is $1 million per annum, with a pro-rated 2013 guaranteed minimum annual bonus of his base salary times the greater of either 200%, or the average 2013 bonus percentage of the company's other officers. In 2014 that bonus is a minimum 200% of base salary, maximum 400%. After that, the Compensation Committee gets to decide what that bonus will be. Oh, don't forget the inducement grants - stock, stock and more company stock - and the make-whole grant intended to compensate him for any losses he may have incurred from leaving his old company scheme (again, stock, to the target value of $25 million). All this from Zynga, the company with the lackluster stock price, and uncertain future. Until recently financial analysts were ambivalent as to the value of Zynga as an investment, and nobody seemed to know whether Zynga's flirtation with casino gambling would pay off. Plus the boatload of cash it paid for OMGPop - flushed down the financial toilet - did Zynga no favors. Its CEO recently took a pay cut to help keep top executives on board; before that Zynga was losing top people left and right. 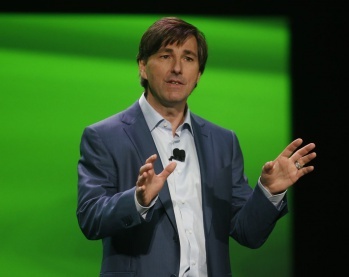 Now Mattrick's a Zynga man, and with a very generous pay packet. Zynga had better hope that Mattrick proves to be a sound investment; stock bump aside, the mere existence of a new CEO doesn't mean a golden age is at hand.